Gülin Algül was born in Istanbul in 1964. She studied at business schools and dealt in export and production until 2000. 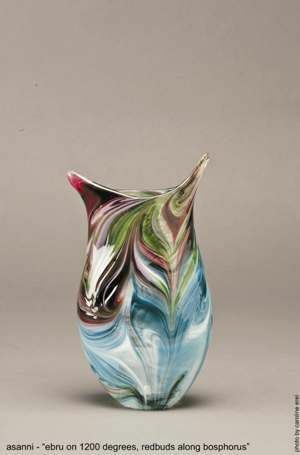 She then learned how to make glass works at the Glass Furnace in Istanbul, and was involved in glass art. 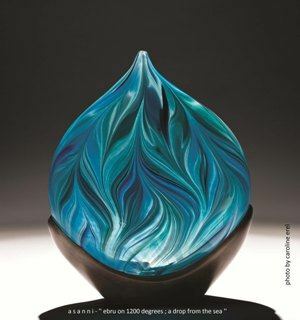 She took 2 sessions of glassblowing from Jean-Pierre Umbdenstock and watched works of famous glass masters such as Petr Novotny, Davide Salvadore, Richard Jolley, Vladimir Klein and Lino Tagliapietra. 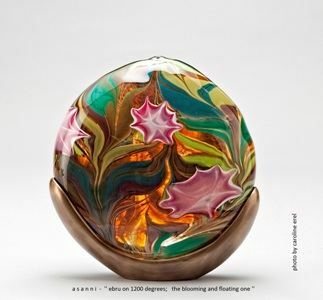 In addition to glassblowing experience, Algül took marbling courses from Eray Atay between 2002 and 2003. Algül also took courses on lost wax techniques in sliver and enamel art from Nuran Somucuoğlu, metal works courses from Tadashi Koizumi and flame work courses from Michaela Möller. Algül has had several solo exhibitions and participated in group exhibitions in Turkey and abroad. 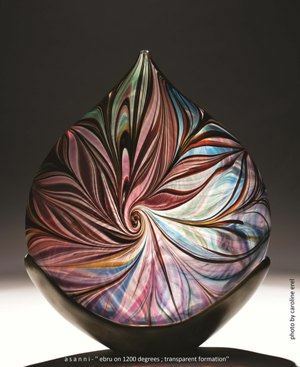 She generally uses glassblowing and hot glass sculpture techniques without using moulds in order to explore and extend her limits in a free style. 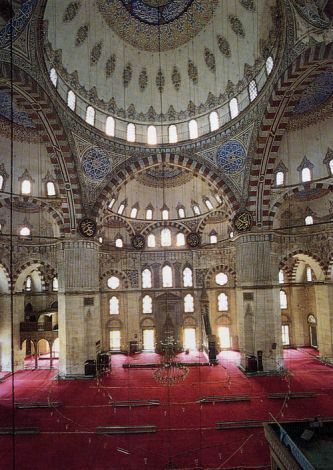 Since 2006, she has improved her technique with help from a grant from the Turkish Cultural Foundation to create ebru on glassblowing (“Ebru on 1200 degrees”). 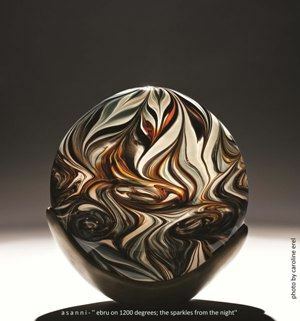 In 2010, Algül received an honorable mention at the Glass Works Competition, which was held in the Camgeran 2010 International Applied Glass Symposium. 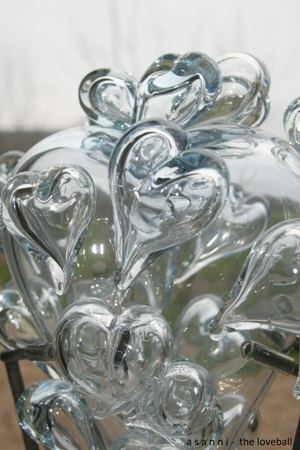 Her works can be seen in public collections including the Eskişehir Glass Museum and the Glasmuseum Hentrich in Düsseldorf. 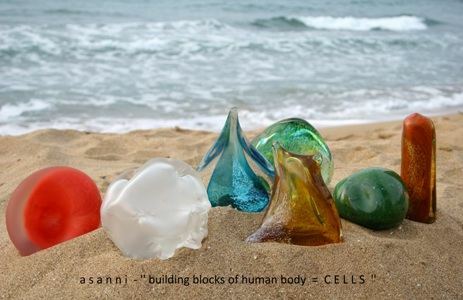 Currently, Algül continues her work at the Glass Furnace in Istanbul. 2010, “Glass Furnace in Aegean Region” in Izmir.